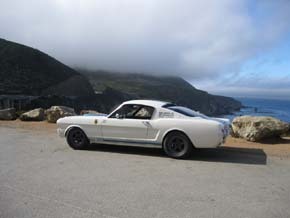 5S003 had stayed in sunny California from 1964 until 1993. 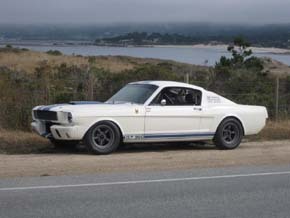 The car was determined to be collectible from around 1977 on, so it was well cared for many years. This is evident from the virtually rust free chassis which will be seen in photos shortly. 5S003 was raced extensively on the West Coast during the 1980s, attending events at Riverside, Virginia City Hill Climb, Monterey Historics (6 times), Westwood B.C., Sears Point, and PIR, just to name a few. In 1993, 5S003 changed ownership and was raced on the East Coast at Lime Rock, Summit Point, (West Virginia), and Watkins Glen. When it was deemed too valuable to place in harm's way it was retired, slightly detuned and driven occasionally in the street. 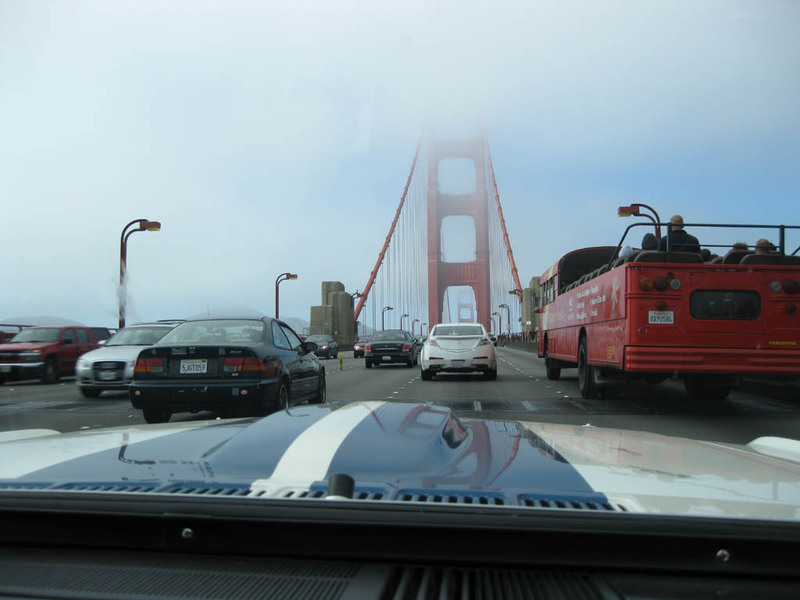 In 1999, the car was sold and it came back to the West coast, this time, to Washington State where it was open tracked at various locations around the U.S. 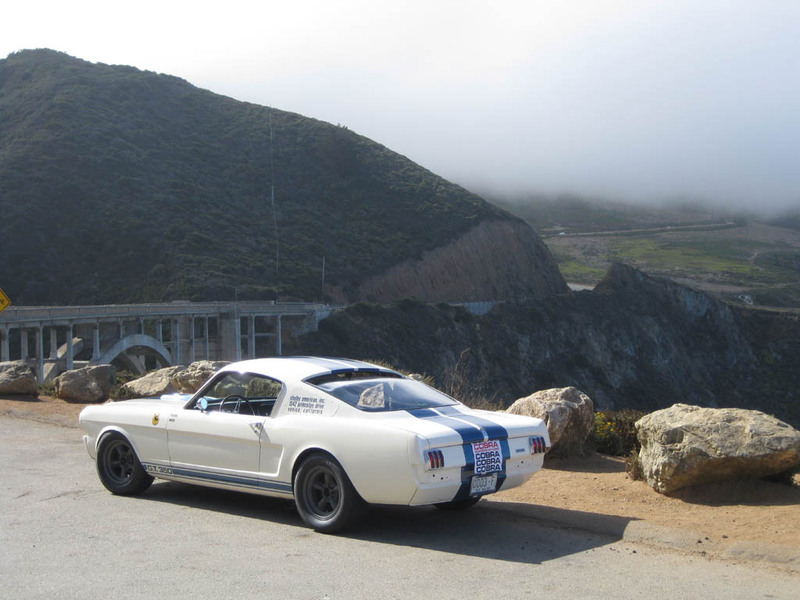 I purchased the car in 2008 and performed a few cosmetic/mechanical improvements and drove it exclusively on the street. 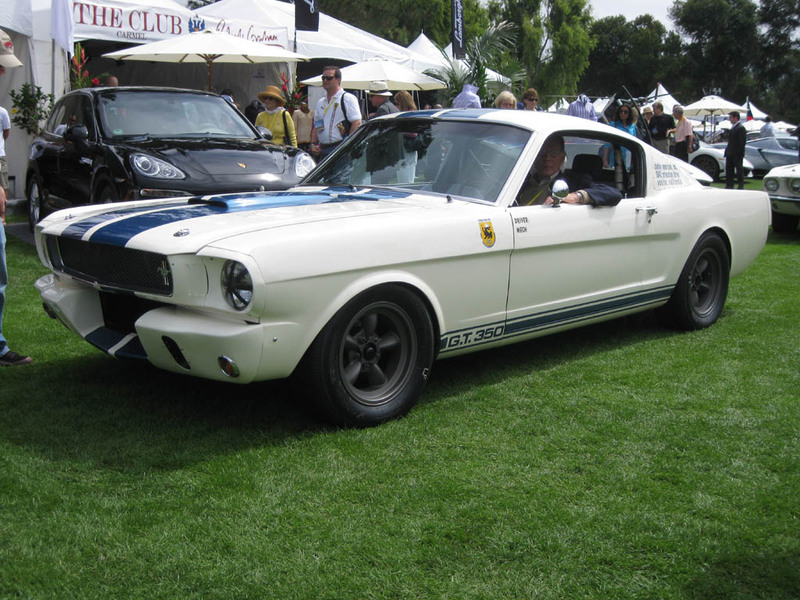 5S003 was invited to the 45th anniversary of the Shelby Mustang at The Quail Concours in California, during the summer of 2010. Chuck Cantwell, the GT350 project engineer, drove the car onto the stage for the opening of the show, and met his former employer, Carroll Shelby. 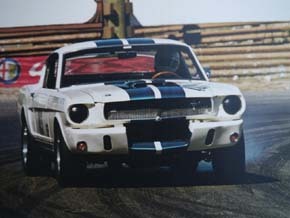 Later in the day, the car won the Shelby Mustang class, an award, it did not deserve. 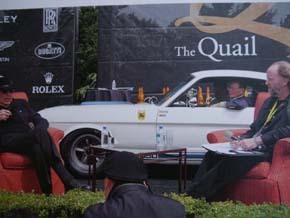 After The Quail show, the car was driven back to Monterey with Chuck Cantwell where it was driven to dinner then to an evening automobile auction. We did not return to the hotel until after midnight. This was all done with taped headlights, virtually no mufflers or side glass. 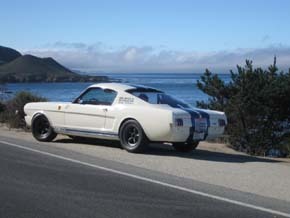 The following morning we drove 5S003 out to the Monterey Historic races. 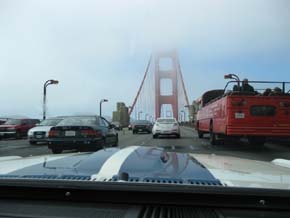 The following day, the car was driven on Highway One along the Pacific Ocean from Carmel to Big Sur, this was so memorable, we did this twice. Two weeks later, 5S003 was driven to its old home track, Sears Point, for the Shelby American Automobile Club's National meet where it came in 1st place in popular vote for the 1965 Shelby Mustang class, not sure it deserved this award either. It was then taken back home to Seattle, where it was driven almost every weekend to local events or random drives regardless of weather, until winter arrived. 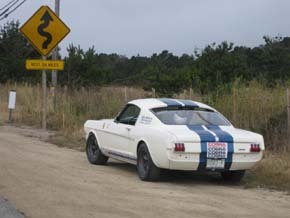 Just over 2,000 miles were added to it's odometer during the summer of 2010. 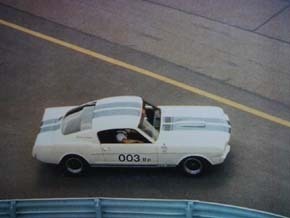 5S003 was perfectly sorted, well balanced and never let me down anywhere it was driven. 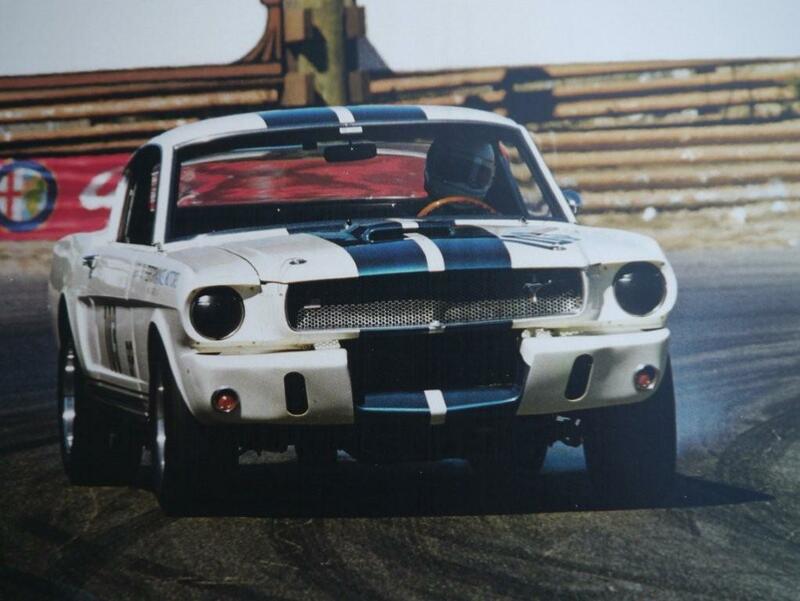 The writing was on the wall however, it was time to return 5S003 to how it looked in 1964, for its 50th birthday in 2014. The 16 years of competitive vintage racing had taken its toll. Over the years, the complete drivetrain and suspension except for the rear end housing and over ride traction bars had been updated. 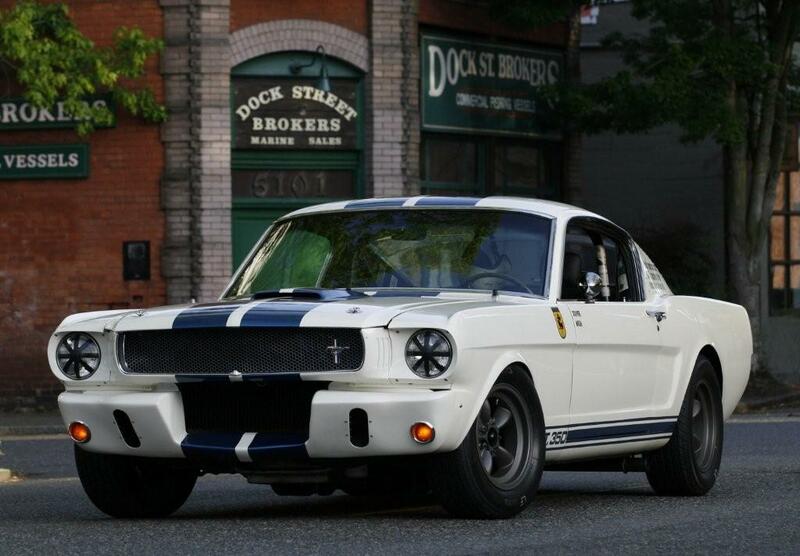 Finding the proper and sometimes dated 1964 parts would take some time.